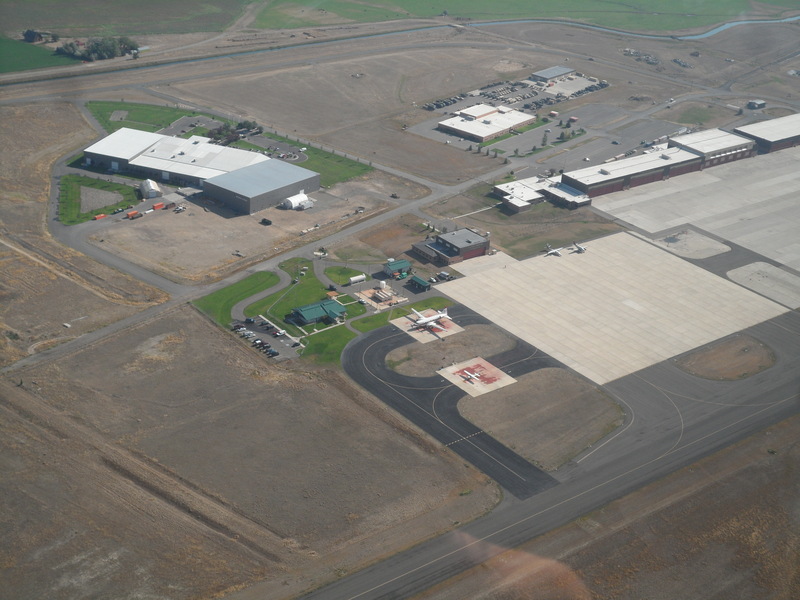 The United States Forest Service (USFS) Fire Tanker Base located at the Helena Regional Airport is an important asset to Montana as well as the region during busy fire seasons. The Tanker Base is capable of handling every Air Tanker currently in operation – from the small P2V’s (that are to retired at the end of 2017) to the Very Large Tankers, such as the 747 Super Tanker or the DC10. Throughout the summer of 2017, with many fires in along the Rocky Mountain front, the Tanker Base flowed over 1.3 million gallons of fire retardant. 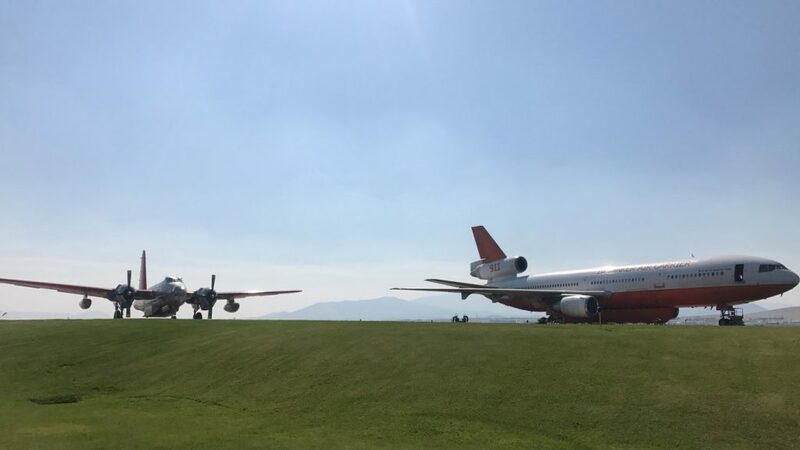 Pictured is an aerial photo of the U.S. Forest Service Tanker Base, and a photo of a P2V of Neptune Aviation and a DC-10 of 10Tanker during the 2017 fire season at the U.S. Forest Service Tanker Base.